Good morning. It's Wednesday, Oct. 3. • Appalling conditions for immigrant detainees in the desert. • A tradition of bullfighting in the San Joaquin Valley. • And how a Buddha statue transformed a street in Oakland. Adelanto I.C.E. 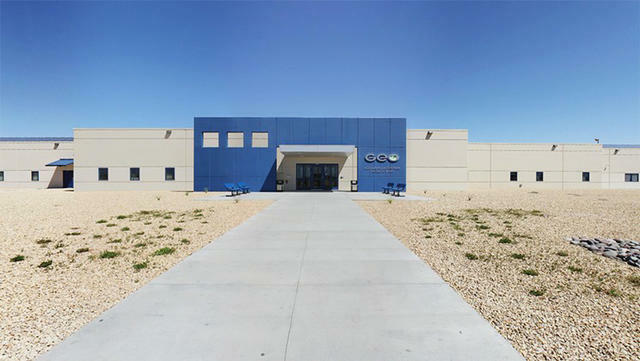 Processing Center in Adelanto houses 1,659 detainees. Homeland Security inspectors who made an unannounced visit to a for-profit immigration jail in San Bernardino County found nooses dangling from vents, a detainee losing teeth from lack of dental care, and a disabled inmate left alone in a wheelchair for nine days. The appalling conditions at the facility, run by a Florida-based company, were described in an audit released Tuesday, the San Bernardino Sun reported. One detainee said inmates were trying to hang themselves. In a span of 10 months beginning in 2016, at least seven suicide attempts were recorded among an inmate population of less than 1,700. "According to the guard escorting us, the nooses are a daily issue and very widespread," the auditors wrote. "When we asked two contract guards who oversaw the housing units why they did not remove [them], they echoed it was not a high priority." Read more in the San Bernardino Sun and Washington Post. Proposition 10 supporters rallied in San Francisco on Tuesday. 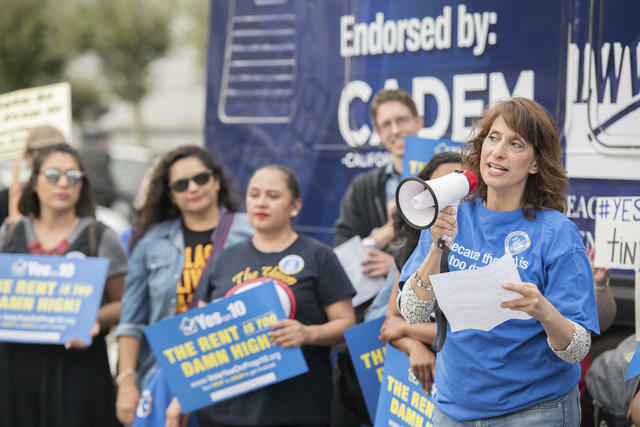 Californians will soon decide on Proposition 10, an initiative that would create a pathway to more rent control across the state. Supporters say it would bring quick relief to the state's overburdened renters. But what do economists say? They rarely agree on much, wrote the L.A. Times Liam Dillon. But there’s consensus, even among liberal economists, that rent control doesn’t help with housing affordability." On the wage front, Amazon announced it would introduce minimum pay of $15 an hour for all of its U.S. employees, giving a lift to 30,000 workers at inland California's packing and sorting centers. Separately, a new study showed that half of the drivers for Uber were earning less than $10 an hour after vehicle expenses. They'd be better off at an Amazon warehouse. 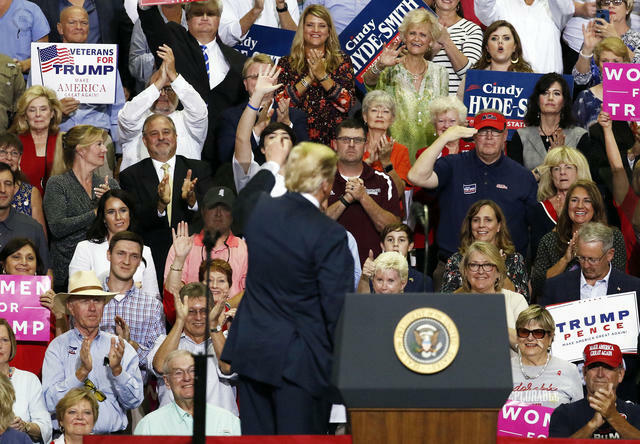 The audience applauded as President Trump spoke in Southaven, Mississippi, on Tuesday. Before Christine Blasey Ford came forward with sexual assault accusations against Brett Kavanaugh, the California professor told friends she was terrified of the scorn she'd face. On Tuesday, President Trump taunted Ford by impersonating her Senate testimony, drawing cheers and laughter at a rally in Mississippi. "'I don’t know. I don’t know,'" he said with derision. "'Upstairs? Downstairs? Where was it?' 'I don’t know. But I had one beer. That’s the only thing I remember.'" Ford's lawyer called the performance "vile." 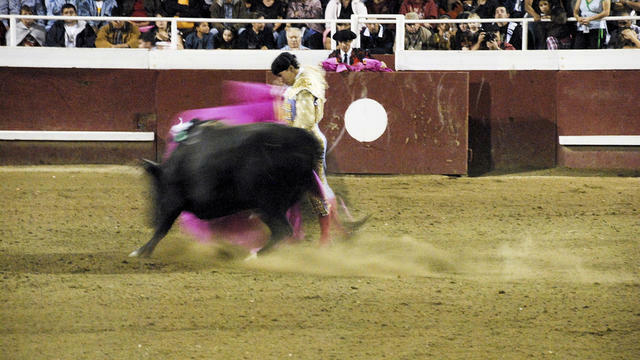 California allows the bullfights in Gustine under an exemption for religious events. Bullfighting was brought to California in the 18th and 19th centuries by way of rancho settlements. The tradition lives on. Every year, Portuguese-Americans bring bullfighters from overseas to a small arena in the San Joaquin Valley and put on huge festivals. A seasoned photographer went to see for herself. The energy was intoxicating, she said. San Francisco office rents just hit a new record high, surpassing the previous peak reached during the dot-com boom in 2000. New offices in the city’s central business district are renting for more than $81 per square foot. (Typical in Los Angeles and Seattle by comparison: Around $40 a square foot). The demand has been driven in part by startups like Uber, Twitter, and Airbnb that have grown into behemoths. Wildfire smoke loomed over Sonoma County last year. Smoke can leave wine with an ashy flavor. 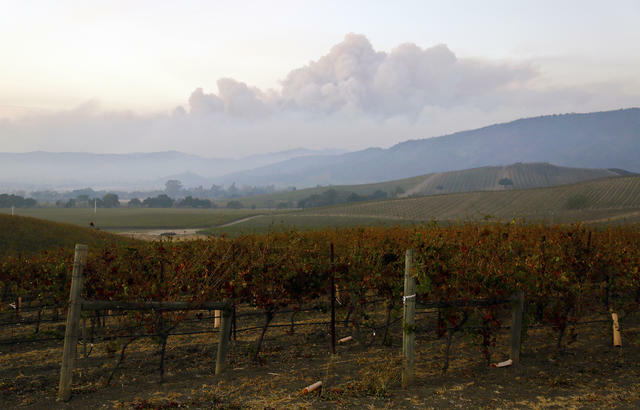 The epic smoke from Northern California wildfires this year is having lingering effects on the wine industry. A Napa winemaker just canceled the purchase of 2,000 tons of grapes from Southern Oregon’s Rogue Valley region, blaming a flavor that's reminiscent of hot road tar. "It’s going to be a big blow to our brand," the owner said. Peter Goodman, right, from a visiting Seattle team, talked with inmate Juan Navarro during a game at San Quentin last month. For prisons, proximity to a vast metropolitan area means more volunteers and more money from empathetic donors. San Quentin, in Marin County, has yoga classes, theater productions, and a baseball program. It's the only California prison that allows games against outsiders. 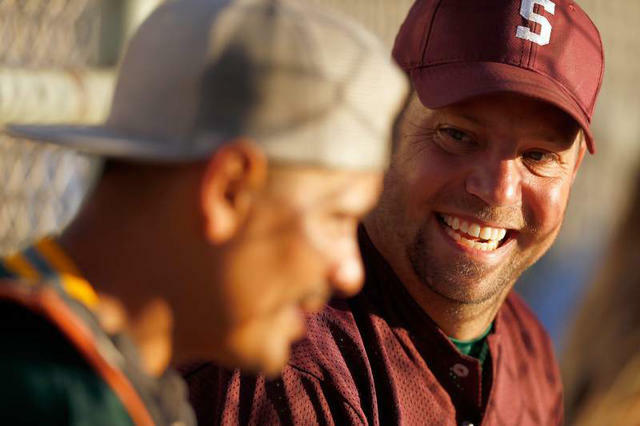 "Usually by about the fifth inning, you forget it’s prison," one player said. 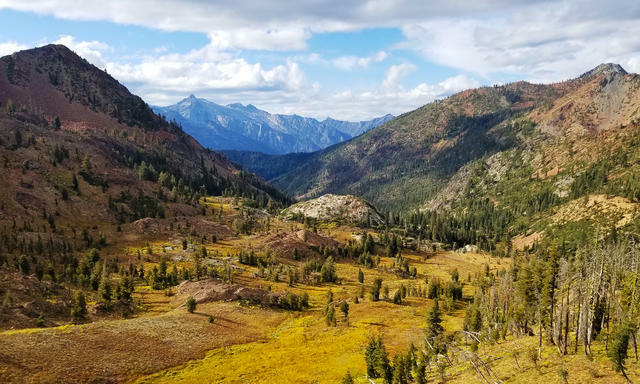 The Trinity Alps, seen in late September 2017, offer some of the most spectacular terrain in the western U.S.
With 550 miles of trails, the rugged wilderness of the Trinity Alps northwest of Redding is a nature lover's delight. Yet it's not unusual to arrive at its most stunning vantages and find that you're the only one there. The mountain range is included in a list of seven favorite fall backpacking trips across the United States. 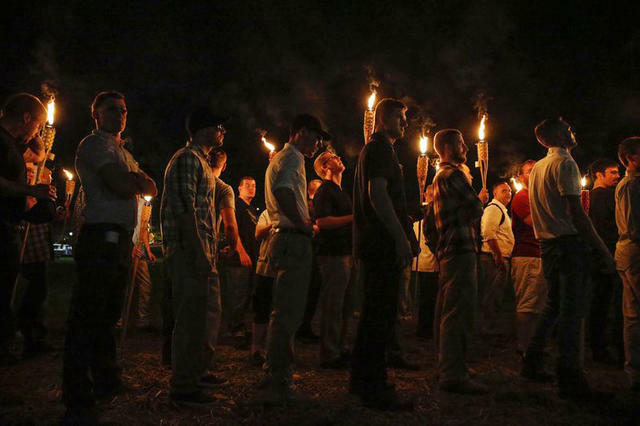 White nationalists gathered in Charlottesville, Virginia, on Aug. 11, 2017. Mykal McEldowney/Indianapolis Star via A.P. Four California men were arrested on charges they traveled to Charlottesville, Virginia, last year to incite a riot at a white nationalist rally that turned deadly. The four are all members of a Southern California group called the Rise Above Movement, which prides itself on operating like a sort of neo-Nazi Fight Club. Nearly nine months after the devastating Montecito mudslides, two mothers are still searching for their children. Lydia Sutthithepa, 2, and Jack Cantin, 17, went missing during the storm. A group of volunteers called the Santa Barbara Bucket Brigade has been digging through the sludge ever since. "I’ve seen so much human kindness," Cantin's mother said. 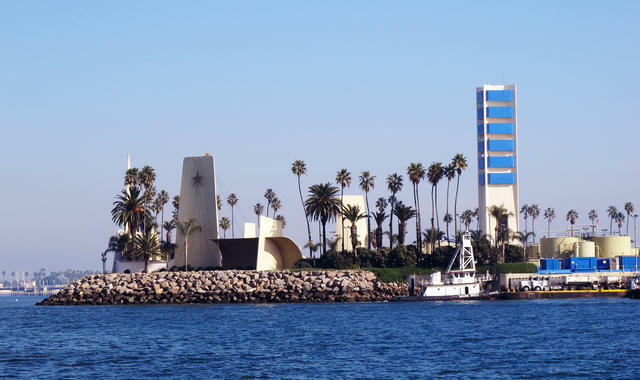 An artificial island off Long Beach hides a secret. Small islands off Long Beach feature colorful cement towers, waterfalls, and palm trees. They could be a billionaire’s idea of luxury apartment living. In reality, they're disguises for offshore oil derricks built atop artificial islands. They survive, a museum curator said, because people don't know what they are. "There’s a playfulness about them. There is very much pulling wool over your eyes." The landscaping includes pomegranate and avocado trees. 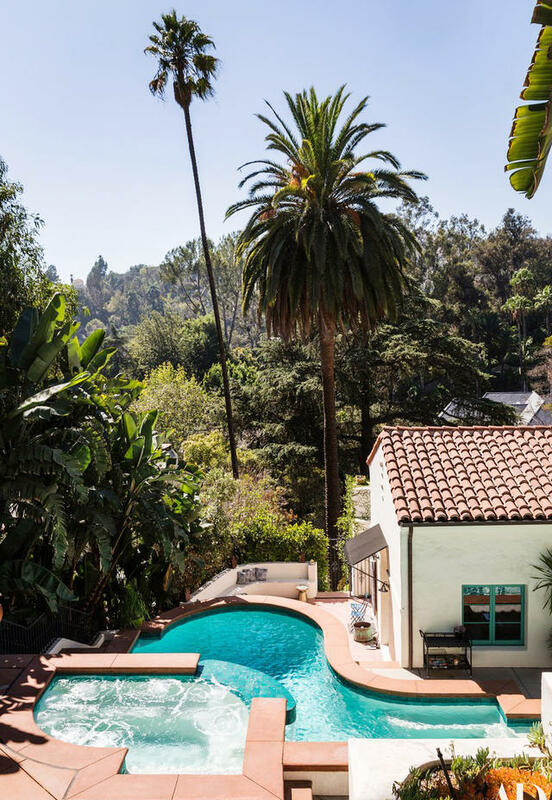 Jesse Tyler Ferguson, the "Modern Family" star, gave a tour of his 1928 Spanish Colonial home in the Los Angeles enclave of Los Feliz. The design is a balance of class and kitsch, including Gothic-painted ceilings and a "Homo Sweet Homo" welcome mat. "We didn’t want it to be intimidating," Ferguson said. 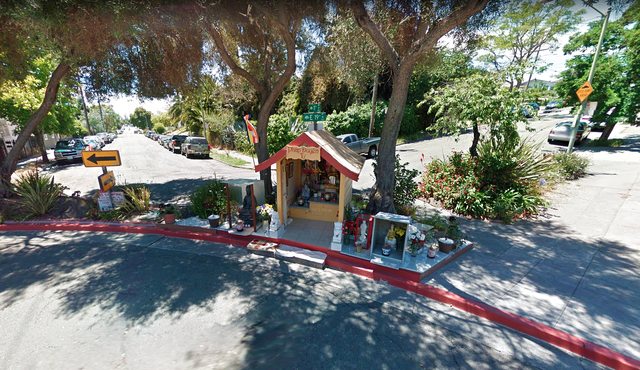 A Buddha shrine transformed a corner in Oakland. In 2009, an Oakland man frustrated by illegal dumping on a median by his house placed a small stone Buddha there out of desperation, hoping it would deter ne'er-do-wells. To his amazement, it worked. At first, an occasional offering of an apple or orange appeared by the statue, according to the news site Oakland North. Then a Vietnamese neighbor and her son asked the owner, Dan Stevenson, if they could care for the Buddha. They painted a gold cloak on the figure, placed it on a platform, and regularly swept the area. A shelter was built and the offerings proliferated — incense, flowers, and bowls of black-eyed peas — as Vietnamese immigrants started showing up each morning to pray. Not only did the trash problem vanish, crime in the area dropped by 82 percent. Stevenson said he is nonreligious, though some people in the community think his act amounted to divine intervention. "It’s an amazing thing," he told Oakland North. "It's like tossing the stone in the pond. It just ripples out."